OI Awareness: Help Anu walk! Born with a rare condition called Osteogenesis Imperfecta (OI), Annaya is a soon-to-be-six year old, who has broken bones over 30 times in her life and has had over 10 surgeries. 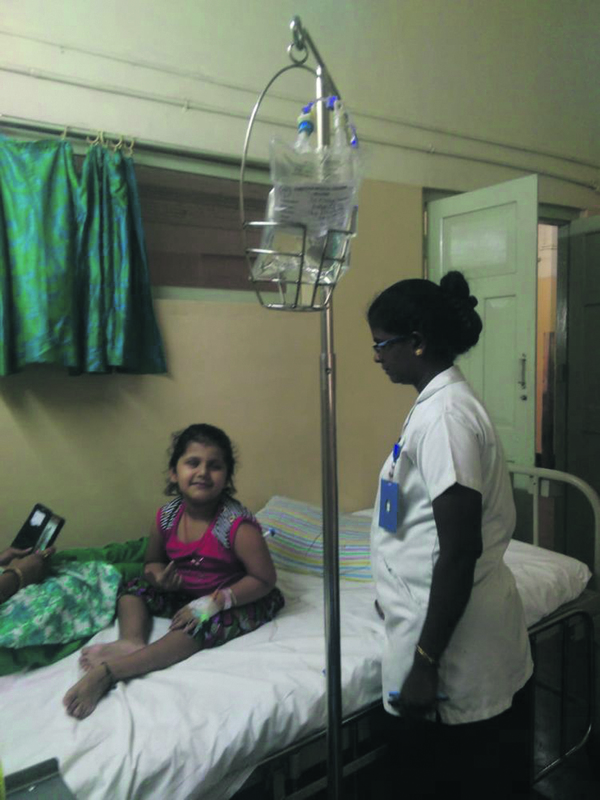 Based in Ranchi, she is currently unable to walk on her own and has to undertake a 35 hour one-way train journey every three months to Vellore, for treatment. A cheerful and inspirational young child, she is barely surviving with menial financial support from friends and family and her mother struggles to provide her with proper medical care. Doctors have suggested multiple surgeries to support her bones. She needs four rods inserted in her legs, the right and left femur, the right and left tibia, for her to be able to walk. However, the cost of the surgeries are massive and her family needs all the help they can get. Every contribution, no matter how large or small, will make a big difference to Anu's life. Those who wish to make a difference in her life, reach out to us and help us gift the young one a normal life.